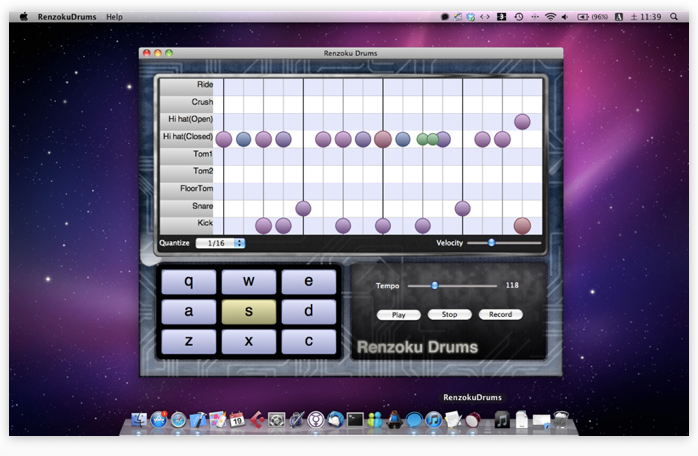 Today, new drums application for Mac has been released on the Mac App Store. 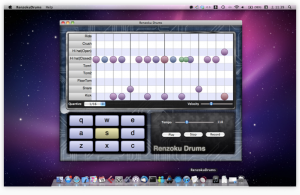 Renzoku drums is a drums loop sequencer with pattern selector. It was designed for drums track making, jamming, and daily musical instrument training.